Waltham, Mass.—September 5, 2013—BlueSnap, a global payment gateway, announced that Transparent Language, a leading provider of language-learning technology for government, education, corporations, libraries, and consumers, has chosen BlueSnap’s global payment solution to transform its shopper experience. With BlueSnap, Transparent Language will be able to optimize its checkout process to increase consumer sales of its language-learning software for consumers. For more information on how Transparent Language is relying on BlueSnap, please view this brief video. BlueSnap continues to enhance its global coverage with more than 180 countries, more than 60 currencies and the ability to translate checkout pages into 28 different languages. 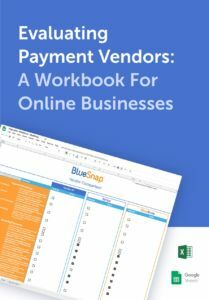 BlueSnap’s vast payment processing network is driving growth for merchants around the globe. experience, with 28 languages, 60 currencies, and 110 payment types, BlueSnap is powering buys for merchants around the globe, and fulfilling their promise to convert more shoppers to buyers worldwide. Learn more at www.bluesnap.com. At Transparent Language, we leverage our expertise in the research and practice of language learning to build programs for use by many US Government agencies and organizations, as well as thousands of schools, hundreds of public libraries, and millions of individuals. Our mission is to help language learners better communicate and engage with all of the world’s people. We believe that a key to American success and world prosperity is the ability to understand and appreciate one another. Since 1991, we have worked to make this happen, one school, library, organization or person at a time. For more information, visit www.transparent.com.